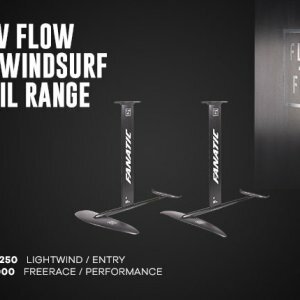 Flow Foil 1250 (Light Wind / Entry): The light wind wing and the top choice for any entry level foil windsurfers.Flow Foil 900 (Performance): Our new freerace wing, which combines its accessible performance with great stability and ease of use. The post Out Now: Flow Windsurf Foil Range! appeared first on Fanatic.